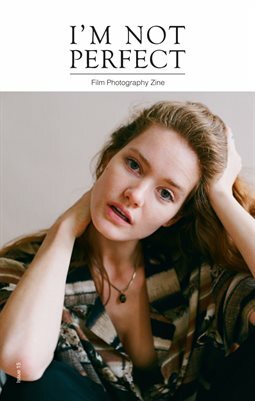 Magazine content, 68 pages, featuring AMIR KUCKOVIC; CHRIS DA CANHA; KASIA KILISZEK; KATYA ABEDIAN; SABRINA SCOTT; SEBASTIAN; SEBASTIANELE; EUNICE ALBINDA; VIKTORIJA BANDA; CATHERINE LEMBLÉ; ALEXANDRE ROCHARD; LÉO TORNEV; CALLUM MCCORMACK; SIMON BLITZER; TESSA MANSFIELD-HUNG and MAC MACDONALD. I’m Not Perfect Zine is a film photography magazine for photographers, fans and all of those who don’t like perfection. Is an independent zine, since November of 2012. For any enquiry, submissions or advertising, please email us.